Bowling Green, Ky. —July 10, 2017—The Southern Kentucky Film Commission (SKFC) Professional Internship Program announced six graduates in Bowling Green. Designed to build the film industry, the program provides students with educational opportunities in film. 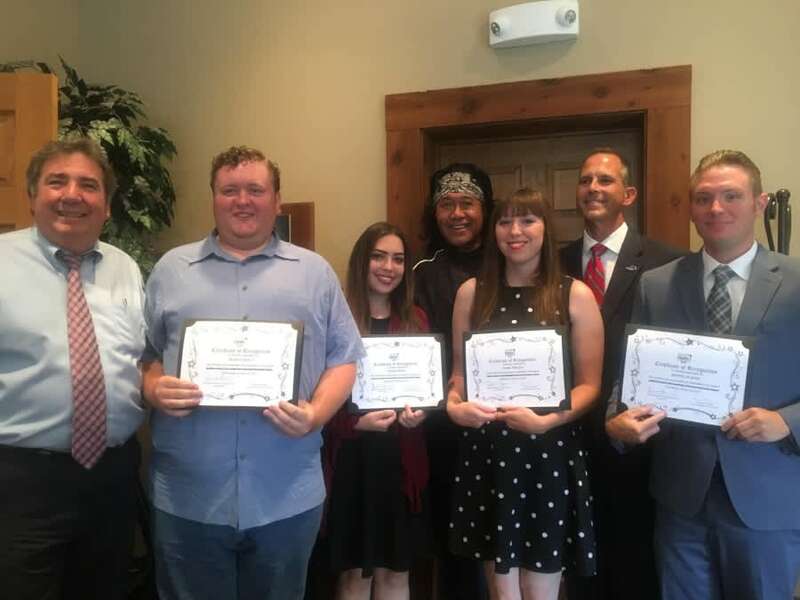 Six students graduated the program: Bryan Clark II (Warren County), Amelia Mann (Warren County), Casey Newton (Edmonson County), Jeremy Aubrey (Hart County), Joshua Collins (Knox County) and Tim Skees (Edmonson County). Terry Martin, SKFC President, along with Jay Hall, Executive Director of the Kentucky Office of Film & Development, and Branscombe Richmond, SKFC Advisory Board Member and Associate Producer of the film Runaway Romance, presented the awards. The graduates received a firsthand education in film production through practical application and observation in every facet of film making. Two of the graduates, Bryan Clark and Jeremy Aubrey, are working on the film Mail Order Monster, along with about 20 Western Kentucky University students. “To build our industry we need knowledgeable individuals, and this internship program offers the first step into film,” Richmond, said. Also in attendance was Stephanie Stumbo, the Executive Director of the Kentucky Film and Digital Entertainment Association. “The gains made by the Southern Kentucky Film Commission have made it a role model for replication, a poster child for how to do things right,” Stumbo said. SKFC is made up of representatives of Barren, Edmonson, Hart and Warren counties. Keep up with the projects at sokyfilm.com and on Facebook, Instagram and Twitter.